If you follow me on Snapchat, then you probably already know my family is currently building a new home. Mom and dad has been hands off with the project so it’s basically just me and my siblings who are taking care of the entire thing. As the fashion designer in the family, my role is to oversee anything and everything related to the aesthetics of our new home. We didn’t hire an interior designer so it’s just me–getting the input of my family members, advice from my dapper boyfriend (who’s got incredible taste) and inspiration from the wonderful world of Pinterest. Imagine that, not only did I get a Dyson fan, but I got a 2-in-1 product that cools down my space AND purifies it too! 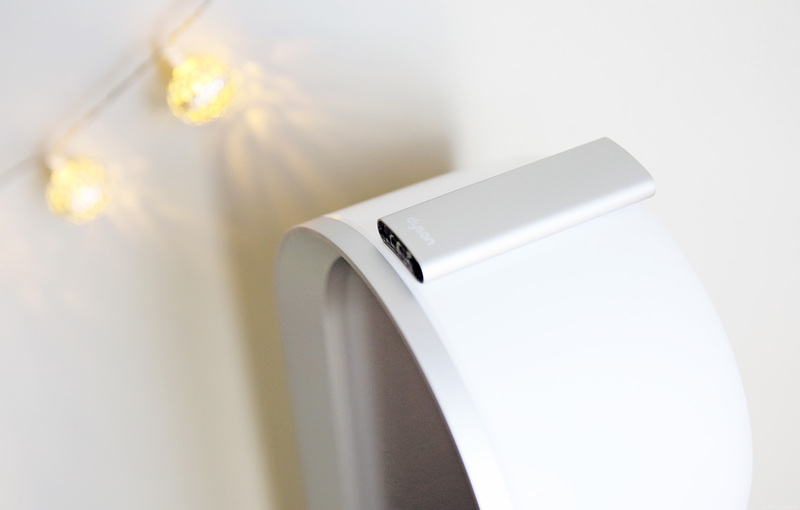 It automatically removes 99.95% of indoor allergens and pollutants as small as 0.1 microns from the air (meaning even those that aren’t visible to the naked eye). I know this may sound too scientific but look at it this way, the air pollution inside our homes can actually be up to five times worse than the air outside because we seal our homes to much. 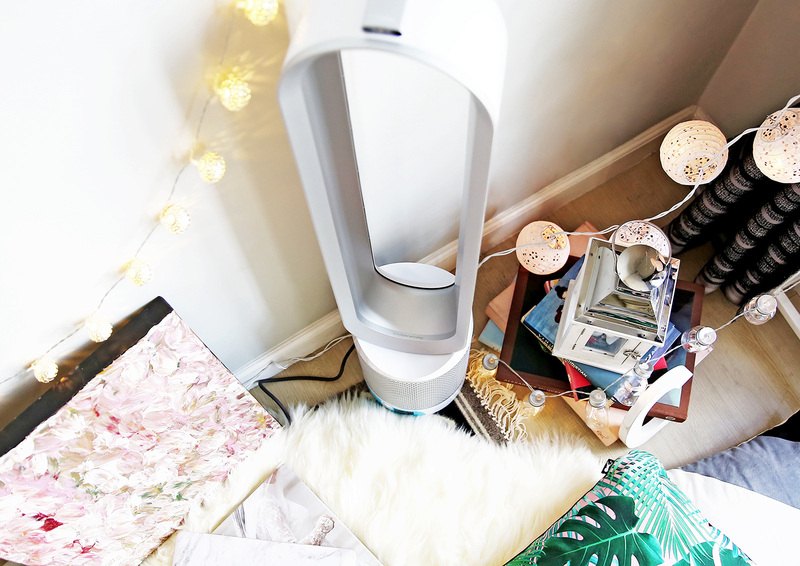 With the purifier fan from Dyson, you can get rid of all these allergens like mould, pollen, dust mites and pet dander plus pollutants and odour. It’s perfect for people like me who’s allergic to dust and people like my siblings who both have asthma. It’s nice to know that despite the beautiful design, functionality wasn’t compromised. The Dyson Pure Cool Link Purifier Fan even has it’s own sensors that detects changes in home conditions before automatically adjusting airflow to maintain good air quality. It monitors, reacts and purifies then reports to the Dyson Link app which you can download for both Android and iOS. 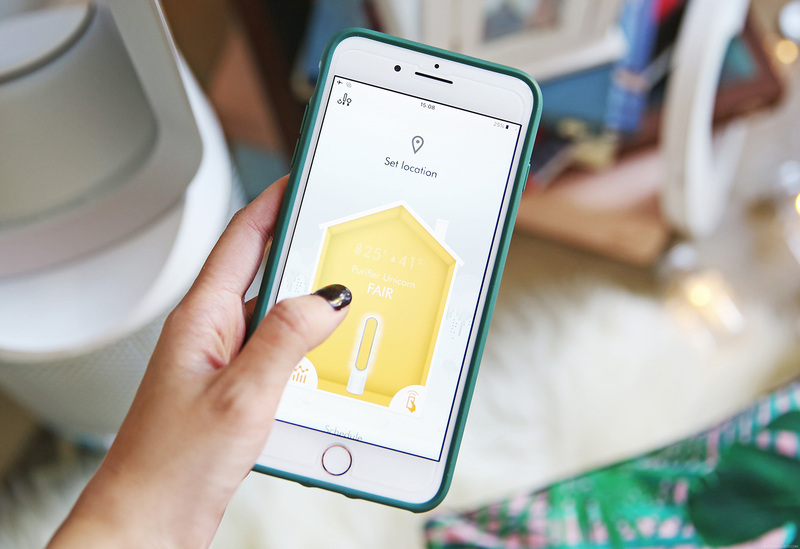 With the app, you can now monitor your home conditions on the go as the app reflects air quality inside and outside your home. 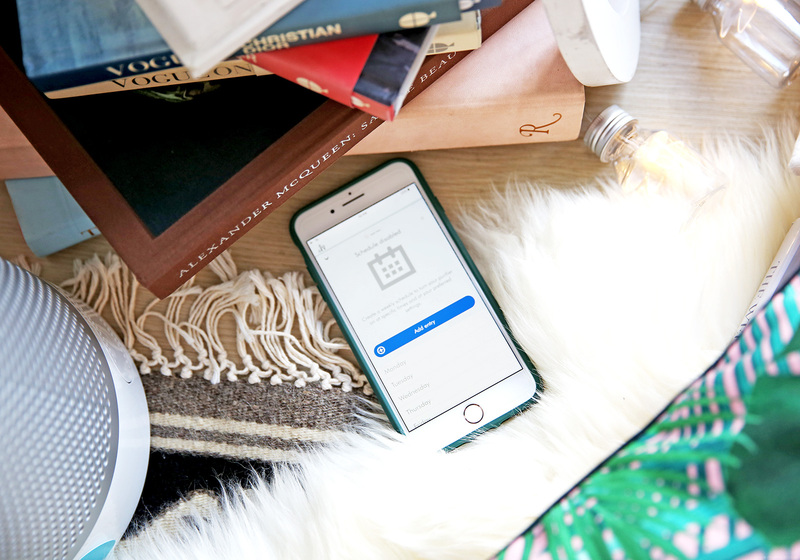 You can also turn your unit on/off through the app even when you’re on the go and even set a schedule for it. HOW COOL IS THAT??!? Oh hold on. I’m on the way home. Let me just casually turn my fan on to clean and cool down my room before I arrive. WHAT?! Welcome to the future folks. Welcome to the future. Im not really a techie gal but this kind of gadget for our home I will definitely spend money for this. Thanks Via! Can’t wait to share it soon too! Hi Camille! Please update and share your skincare day and night routine and products 😍 So beautiful and flawless! I’ve heard so many great reviews about this fan! :D I’m always so amazed that a little fan like this can be so powerful <3 Can't wait to see how the new home looks! Your style and aesthetic is always on point! Thanks Elizabeth! :) I’m so excited! Love your posts. I’ve been following you for like 6 or 7 years now over Lookbook -i believe- & then Instagram & all i can say is that you inspire me a lot. What a cool fan omg wish i can get those here in Perú. Good choice Camille, that Dyson fan is sooo cool! Friend of mine have it and I always getting jealous when I visit :-) too bad I can’t find use of it to spend the few hundred $$$. Maybe I should get it just to make other people jealous :-) Good luck with the completion of your house! I am sure you will do good though! I understand you perfectly Cams. My eyes light up every time I find myself in the home section. LOL. The design of that fan looks so sleek and clean. I see why it easily fits any space.